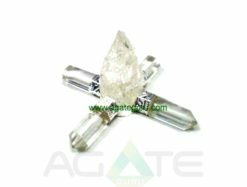 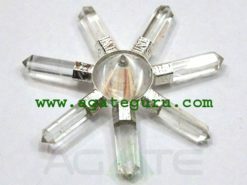 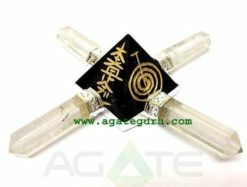 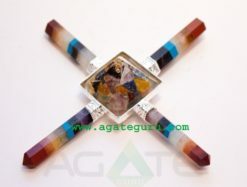 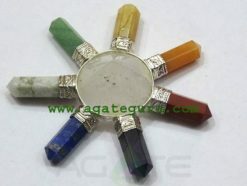 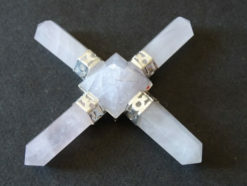 This Generator has 4 Crystal Quartz Pencils attached to an Amethyst Raw at the center.Clear Quartz is an excellent crystal for the crown chakra and yet is also attuned to all the chakras. 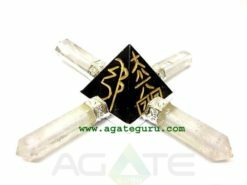 Many healers use the quartz crystal points in a grid like fashion placed around the body to assist in a healing as it restores and balances the flow of energy in the body. 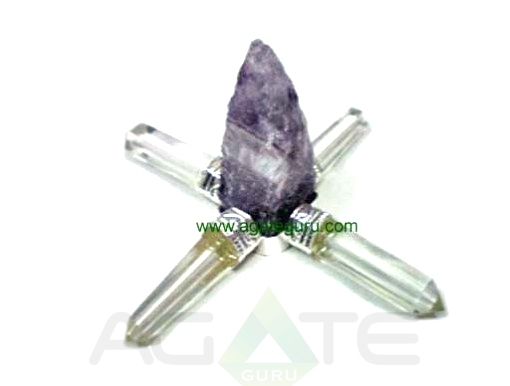 Amethyst carries a high spiritual vibration of humility and devotion to the Divine. 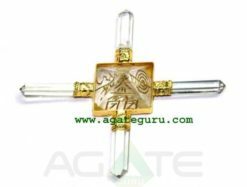 It is highly conducive to stilling one’s thoughts in prayer and meditation, and surrendering to that which is greater than the self. 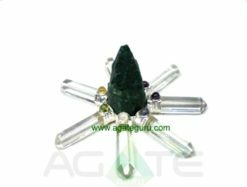 Amethyst also stimulates the higher mind to receive one’s spiritual power as a creation of the Divine being and to open to the insights, wisdom and guidance that is offered. 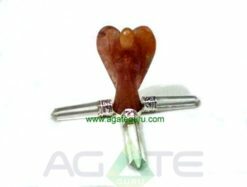 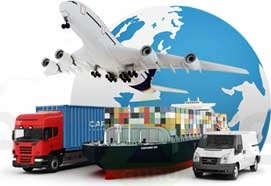 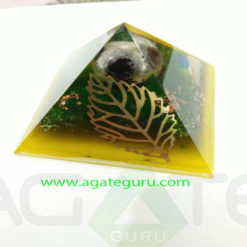 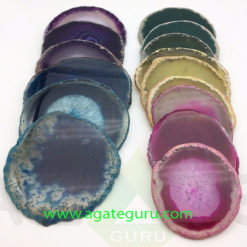 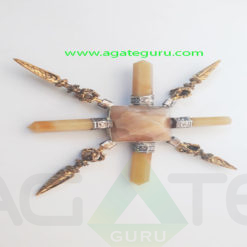 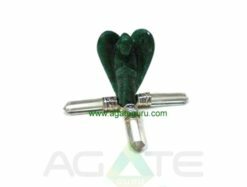 Our Products are Arrowheads,Beads,Healing sticks, Tumble Stone, Chakra wands, agate items, Massage wands, Merkabas, Gemstone Pendulums, metal pendulums, geometry pendulums, Pyramids, Angels, Spearheads, Blades, agate artifacts, Gemstone Bowls, tumble stones,Shiva lingams, Shiva/Agate eyes, worry stones, Cabachones, obelisks, Rune Sets, platonic solids, geometry sets,Towers, Natural points,Chakra products, Reiki items, Tibetan sticks, Amethyst Geodes, Fengshui, Esoteric, Metaphysical & New Age products. 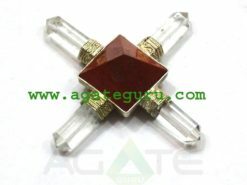 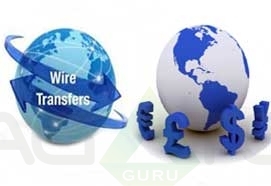 We are always welcome any kind of custom order.